Human Services Center (HSC) has begun offering Parent-Child Interaction Therapy (PCIT) to families in the area. 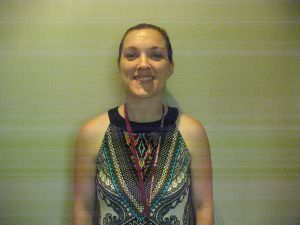 Elizabeth S. Buchanan, MA, NCC, LPC, a Child and Adolescent Outpatient Therapist at HSC, was trained in this treatment model at the Western Psychiatric Institute and Clinic in Pittsburgh and is a member of the HSC treatment team. Parent-Child Interaction Therapy (PCIT) is a treatment practice for young children (2.5-7 years) that aids parents, or other caregivers of children experiencing behavioral challenges (aggression, oppositional and defiant behaviors, and temper outbursts), achieve effective parenting skills. It also is considered to be an excellent treatment for families that may experience high levels of anger and/or aggression within the home. These could include families that have been involved in Children and Youth Services (CYS) locally. Children at risk of losing daycare or early childhood educational placements because of problem behaviors may also benefit from PCIT. Treatment professionals in this program possess advanced degrees and/or professional licenses in the behavioral sciences and have received specialized training in PCIT. A board certified psychiatrist is available to consult with the families as needed. For more information on PCIT, contact the Human Services Center at 724-658-3578.